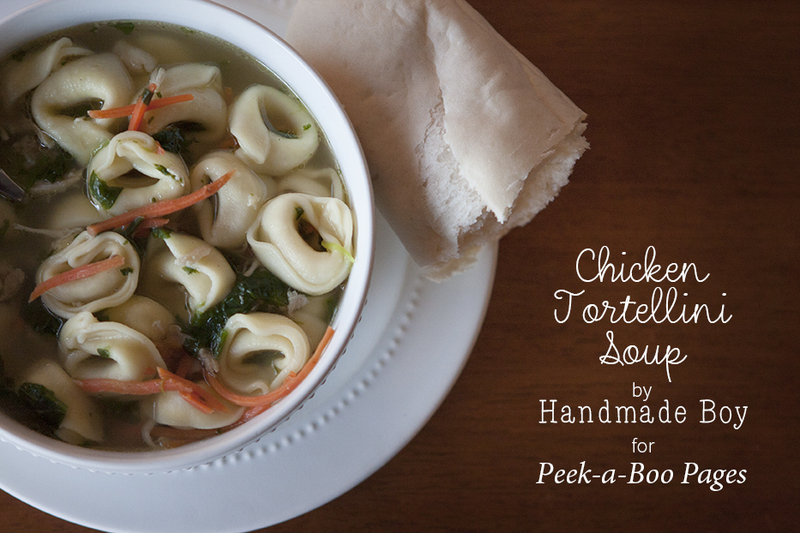 Chicken Tortellini Soup - Peek-a-Boo Pages - Patterns, Fabric & More! 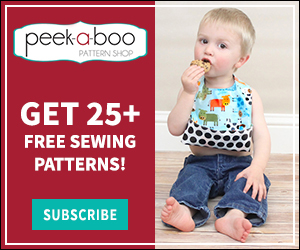 Hello again, Peek-a-Boo fans! 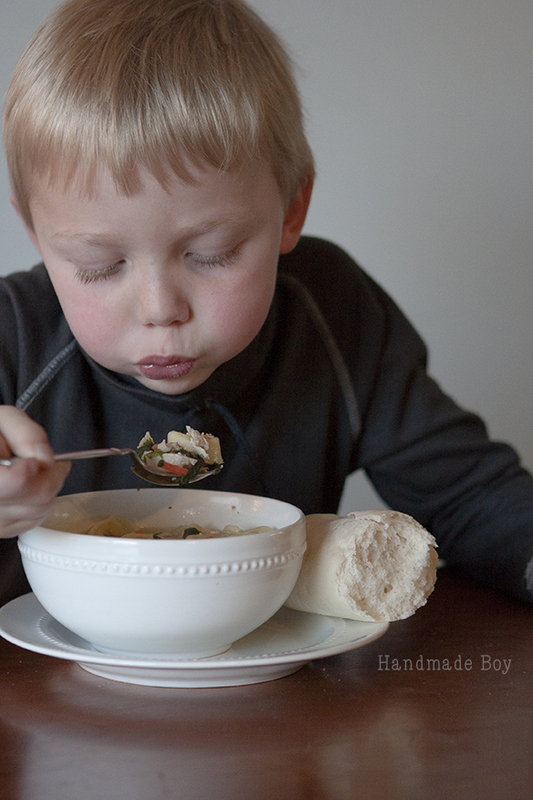 It’s Kelly from Handmade Boy and I’m sharing one of Thomas’s favorite recipes today. 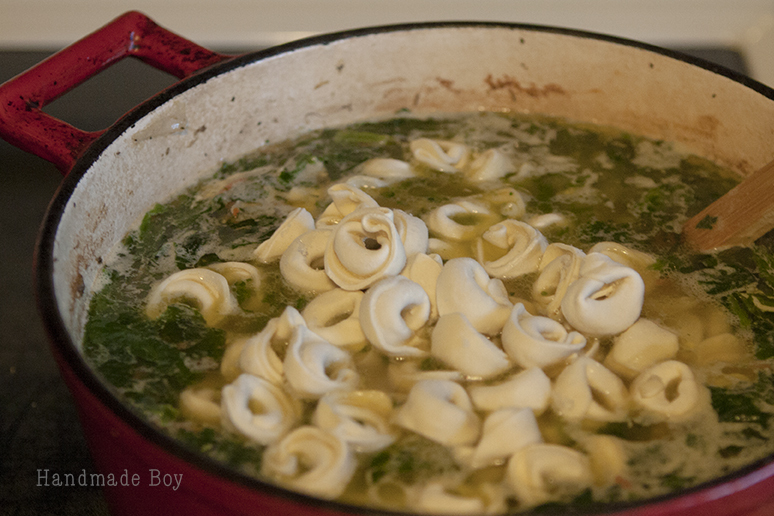 Chicken Tortellini Soup. I am a self confessed soup person. 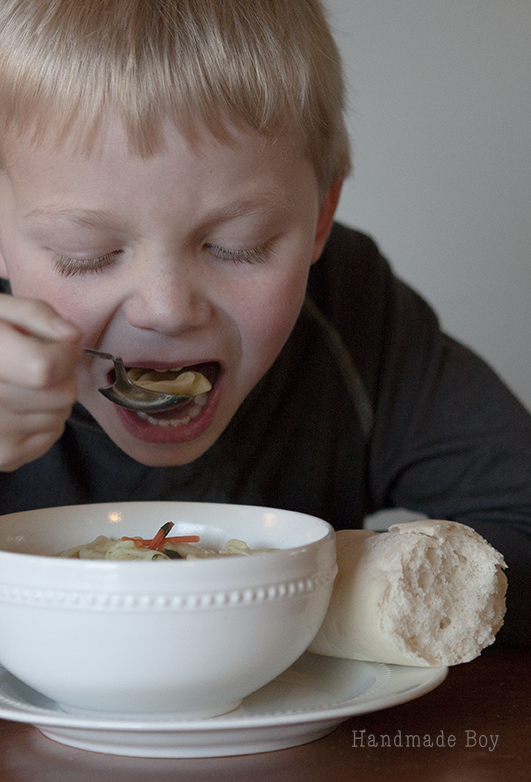 I LOVE soup! 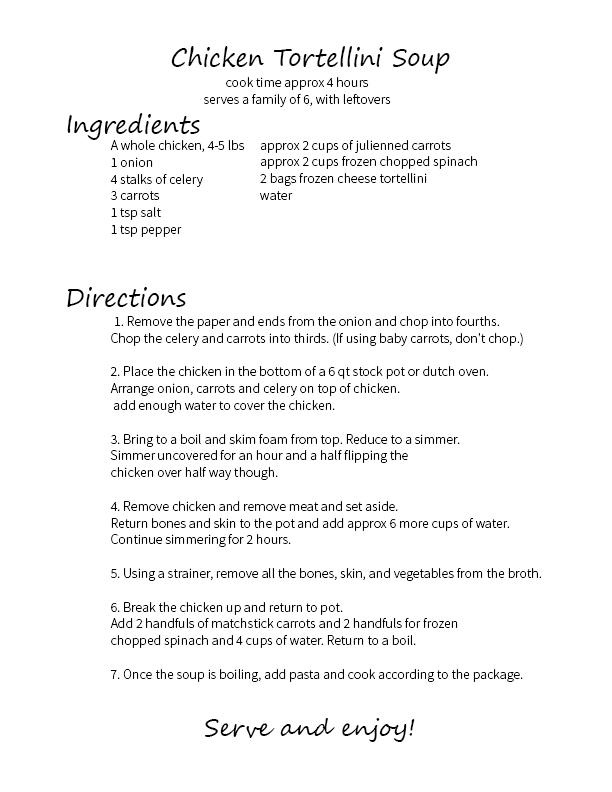 And with home made soup being so simple to make, we have it quite often. 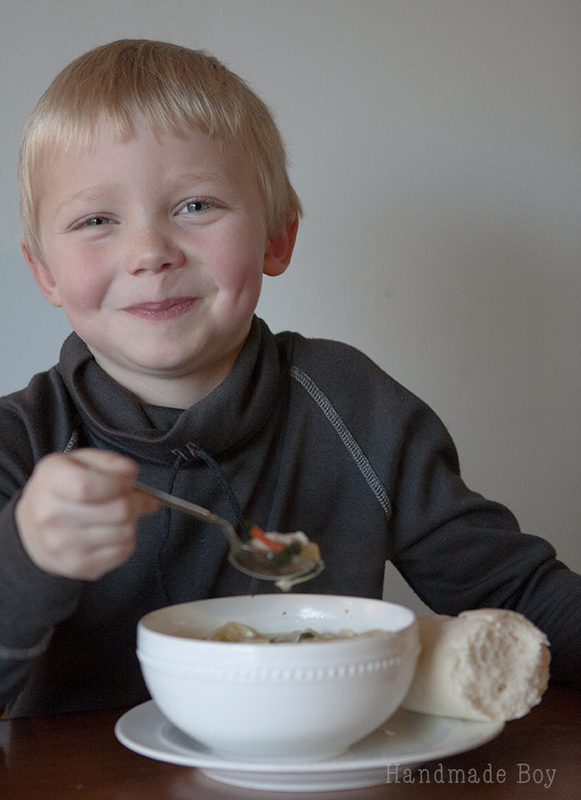 Chicken tortellini is Thomas’s absolute favorite and he is always requesting it for dinner. 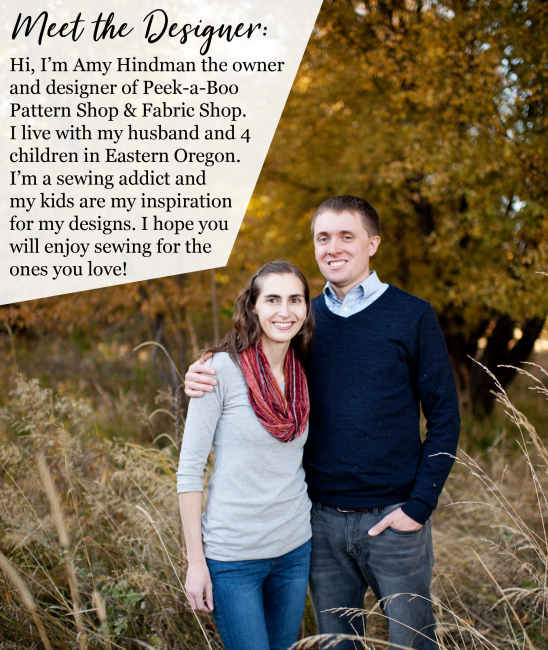 And with how simple it is to make, it’s hard to say no. 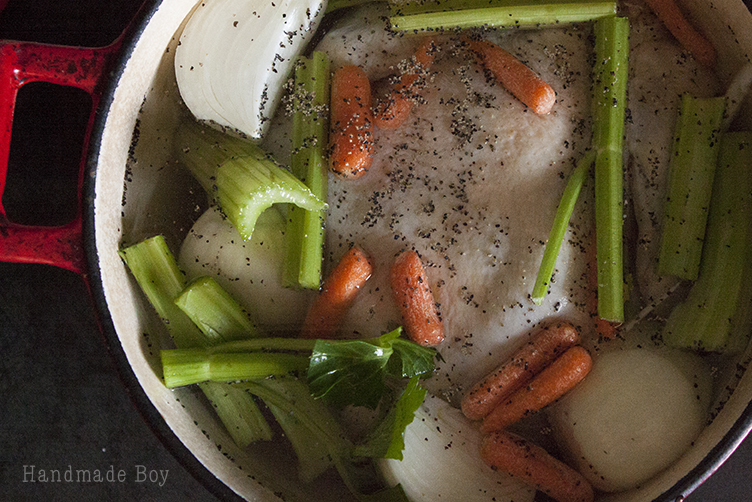 All of my soups start with a home made stock. 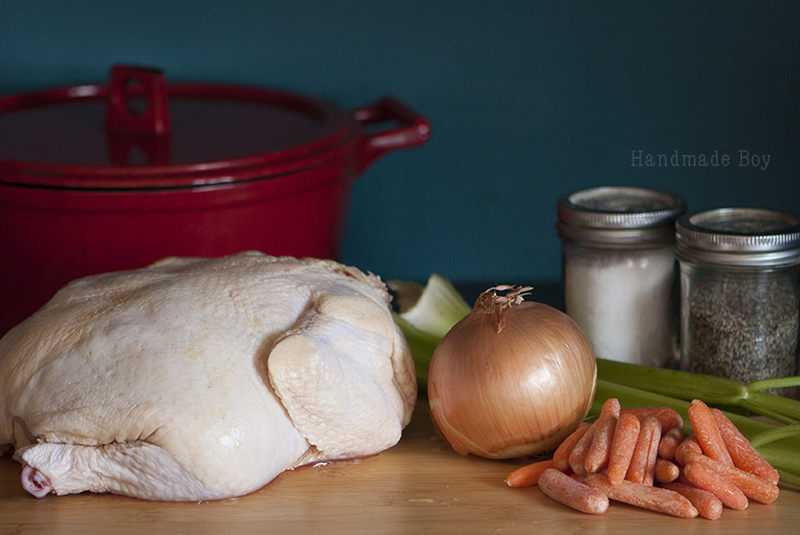 You will never purchase a can of broth again. Not only is is way yummier than canned, it also makes your house smell delish and feel all warm and cozy. Homemade soup takes a few hours to make. I love to start mine around noon and then I’ll just wait to add the pasta until we are ready to eat. The longer it simmers, the more the flavors blend together. Start by collecting the following. 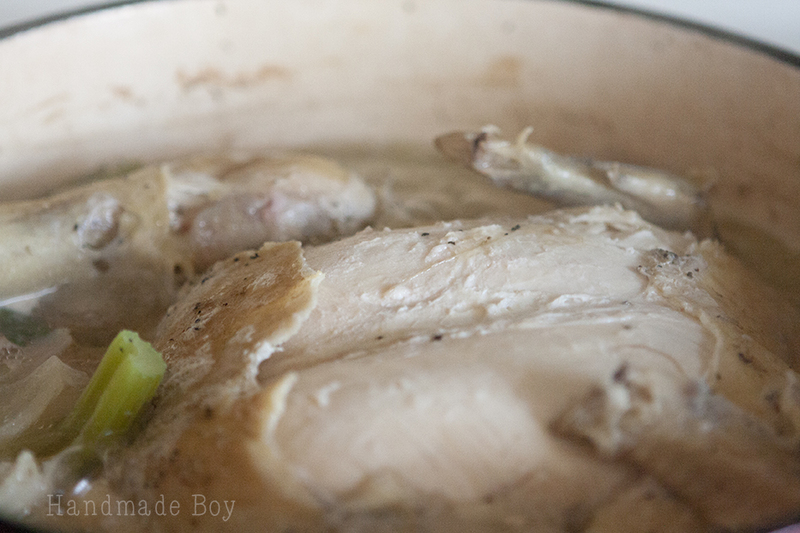 Place the chicken in the bottom of a 6 qt stock pot or dutch oven. 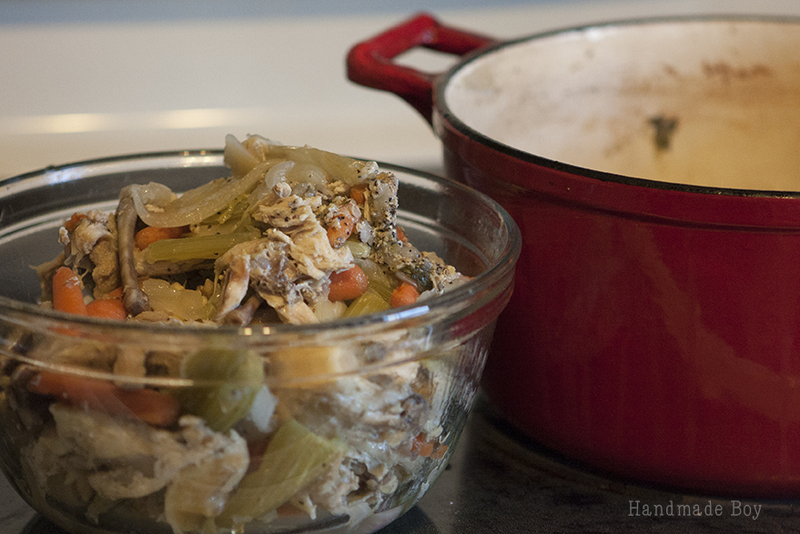 Arrange onion, carrots and celery on top of chicken and add enough water to cover the chicken. Add salt and pepper. Bring to a boil and skim foam from top. Reduce to a simmer. Simmer uncovered for an hour and a half flipping the chicken over half way though. Remove meat from bones and skin and set aside. Return bones and skin to the pot and add approx 6 more cups of water. Continue simmering for 2 hours. 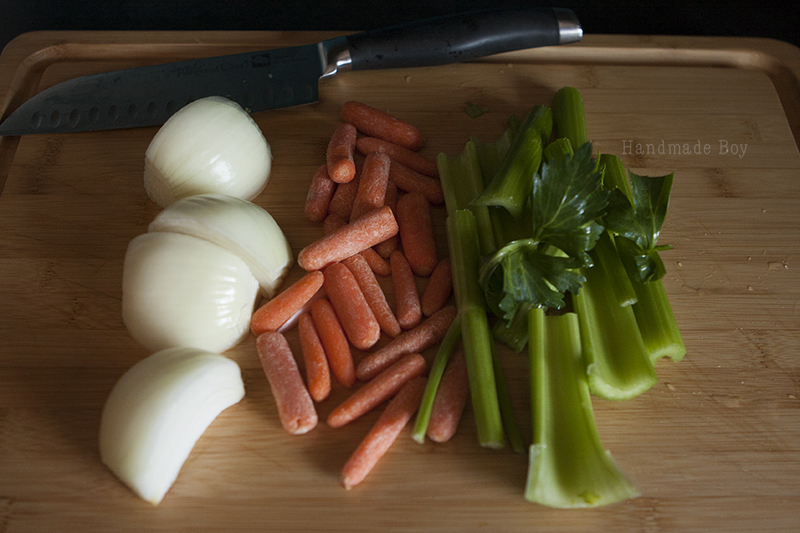 Making good soup is a process and takes time. 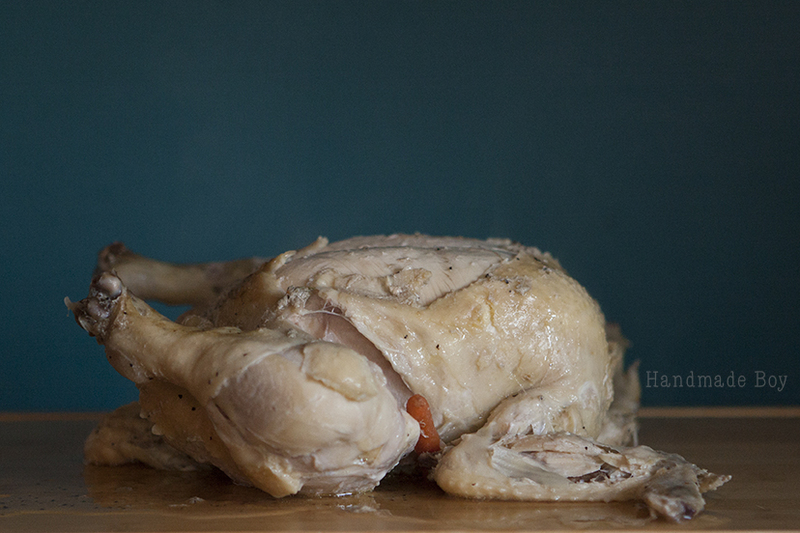 I know that isn’t pretty, but it’s what is going to make your soup incredibly delicious! 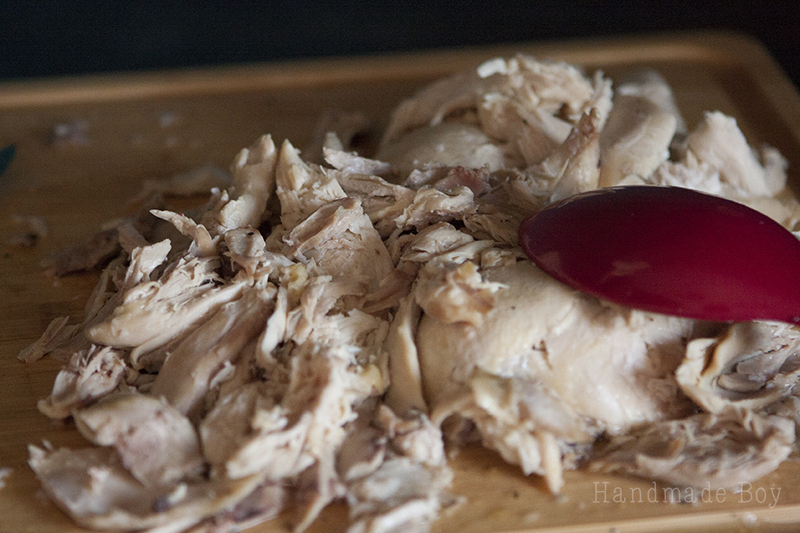 All the flavor is getting pulled out of the bones and skin and that is going to pack your soup with flavor! 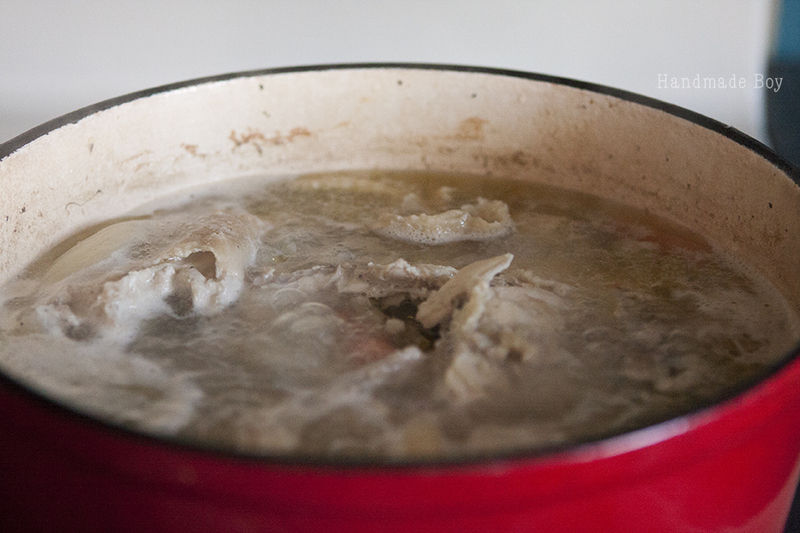 Using a strainer, remove all the bones, skin, and vegetables from the broth. Toss all that that stuff. It’s done it’s job and loaded the broth up with yumminess! Return the chicken to the pot. Add 2 handfuls of matchstick carrots and 2 handfuls for frozen chopped spinach (approx 2 cups of each) and 4 cups of water. Return to a boil. Once the soup is boiling, add pasta and cook according to the package. Be careful, though! It’s hot! 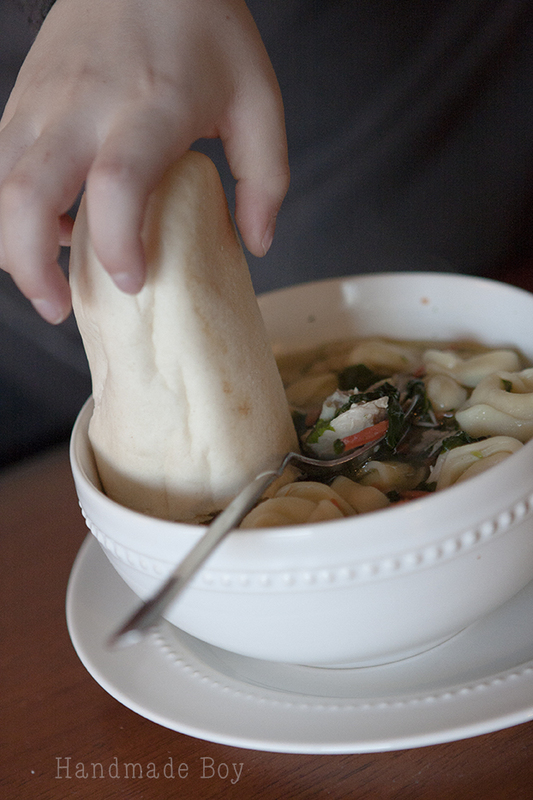 The broth is perfect for soaking up with a yummy bread. And that is how we make a boy happy.